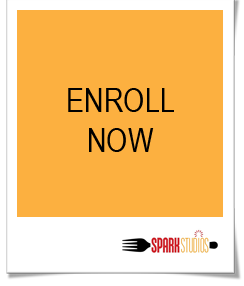 Welcome to Spark Studios, a space for children aged five to sixteen to learn various cooking techniques and culinary etiquette to equip children with skills applicable for the real world. Spark Studios aims to double as a recreation space for adults to relax and indulge in their creative pursuits. It will essentially be a living room for adults to mingle and hang out with friends. Spark Studios boasts of a 2400 square feet living room space with a fully equipped kitchen, TV lounge area, dining area and a 600 square feet outdoor terrace. Welcome to Spark Studios, a culinary concept space located in Taikoo Place, Quarry Bay. We are a cooking studio that aims to spark creativity, inspiration, individuality and social interaction for children and working professionals. A convenient, private location for both children and adults to unleash their culinary creativity and relax in the hustle and bustle of Hong Kong, Spark Studios is a space where people can come together to interact and learn about the joys of cooking.